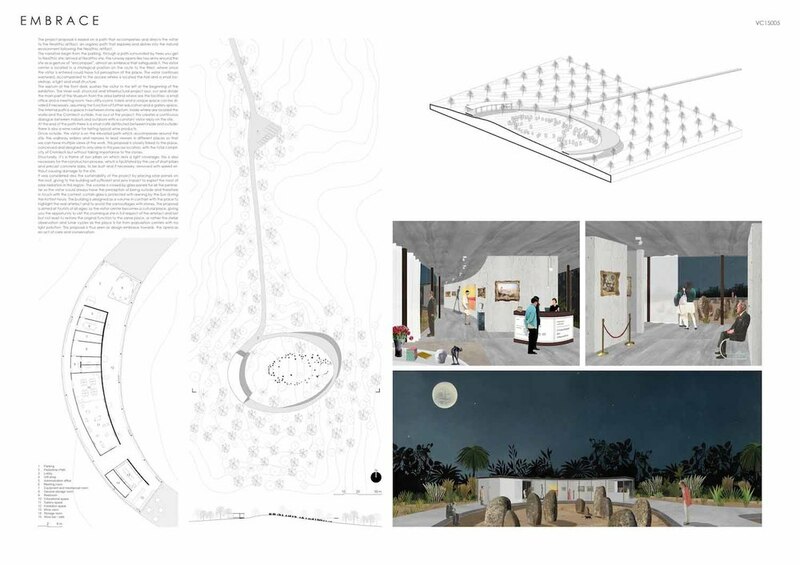 The project joins the environment with naturalness and discretion, building an effective visual and material tension with the archaeological site and with the broader scenery of the surrounding landscape. 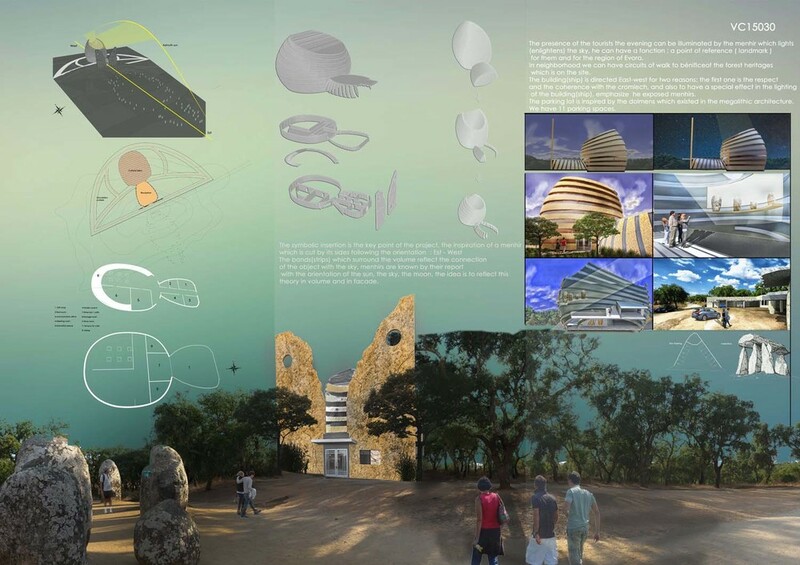 The tower scheme, while presenting some functional limits, solves brilliantly the exhibition program assuming the role of landmark. 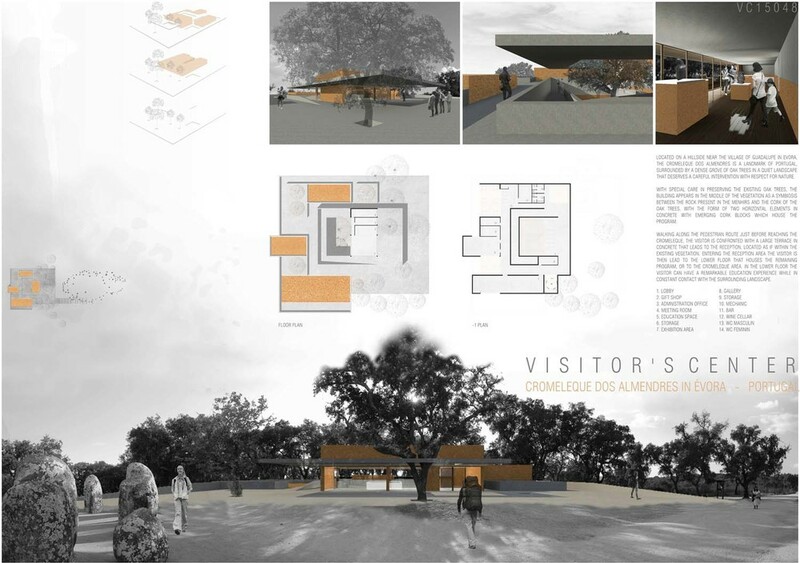 The project has the ability to find the right distance from history, generating a new landmark, as a new eye to look towards the extended landscape. 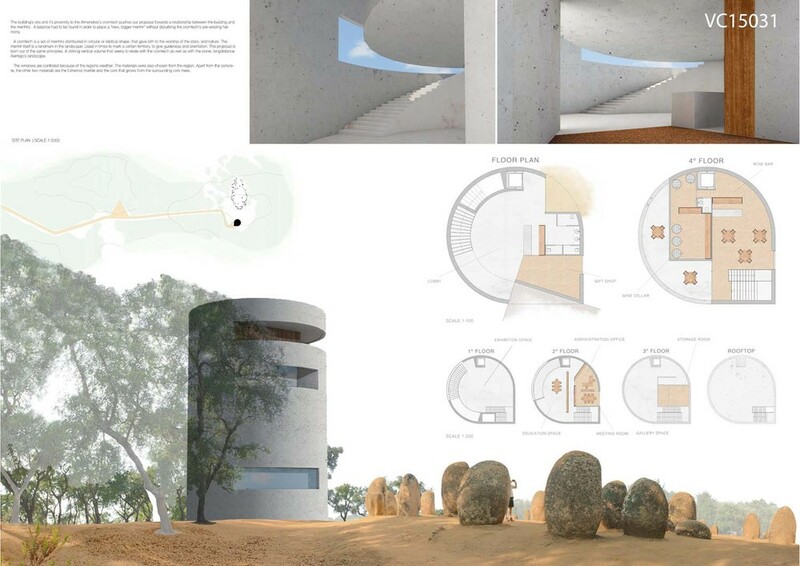 The simplicity of architecture manifests a poetic materiality, such as to search affinity and respect with the place, able to engage in a fruitful dialogue with the megalithic monument, and to evoke an hidden time. 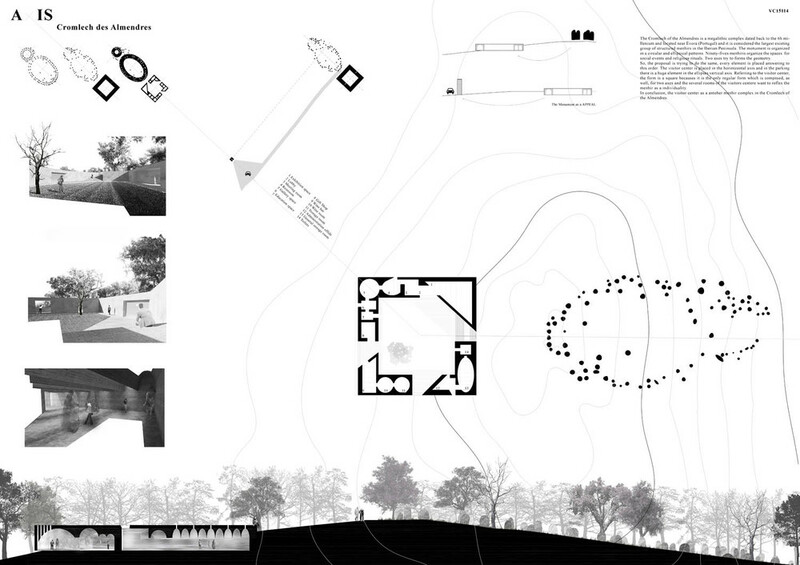 The proposal minimizes the impact on the territory creating a powerful element in height. What 'a priori' seems a paradox, results in extreme elegance and efficacy. Time and erosion on compacted earth will link together centuries of history. Congratulations! 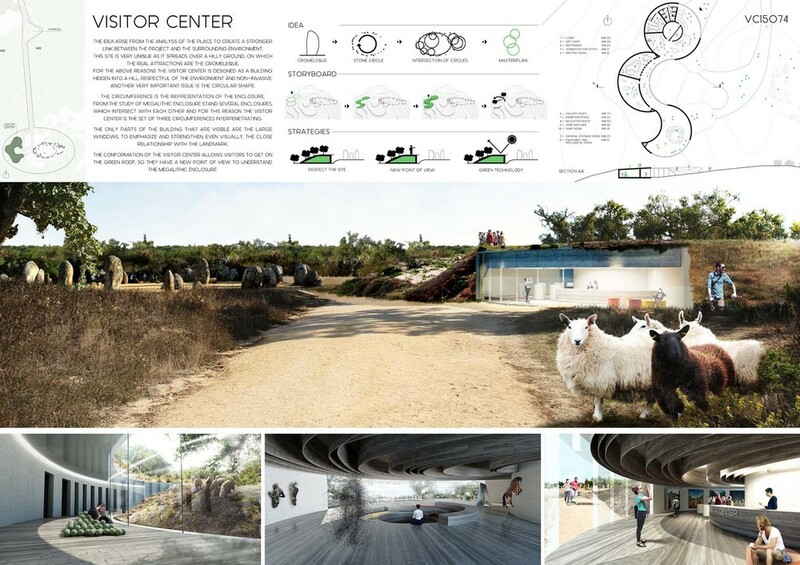 The project solved with simplicity and immediacy the functional program, proposing a system at the same time rigorous and light, capable of triggering an interesting visual relationship with the archeological site and the landscape. 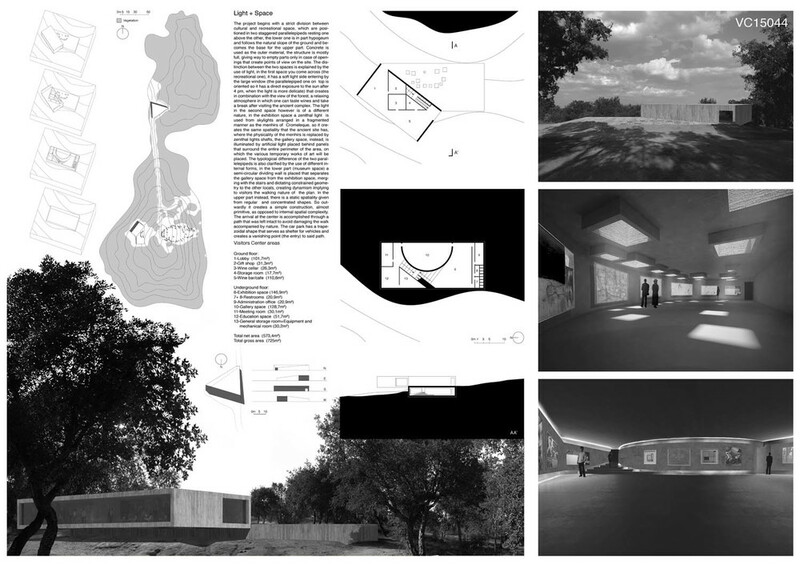 The transparency of the volume, the strict seriality of the structural system and the clear geometry of the map imprint clarity to the proposal. 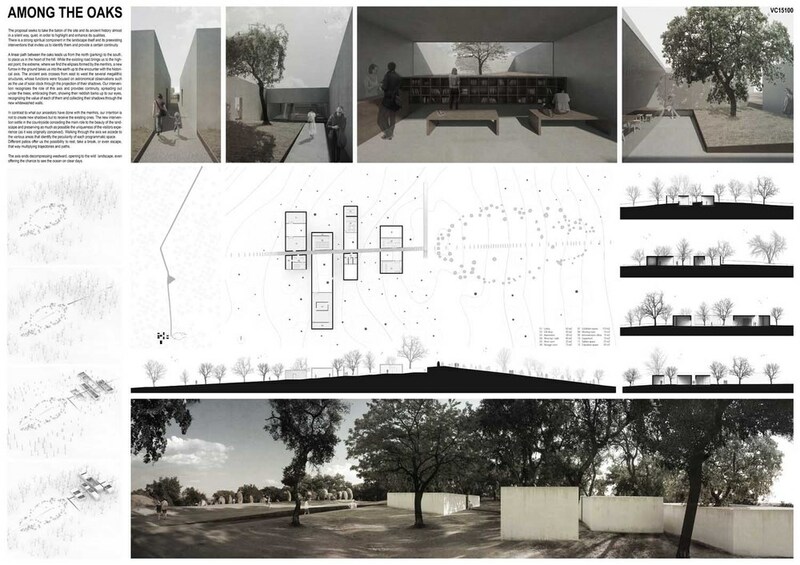 The project evokes a great sense of grace and serenity, proposing a remarkable functional and planimetric clarity, in an attempt to create a disappearing architecture in the landscape through a poetic language and a spatial continuity. 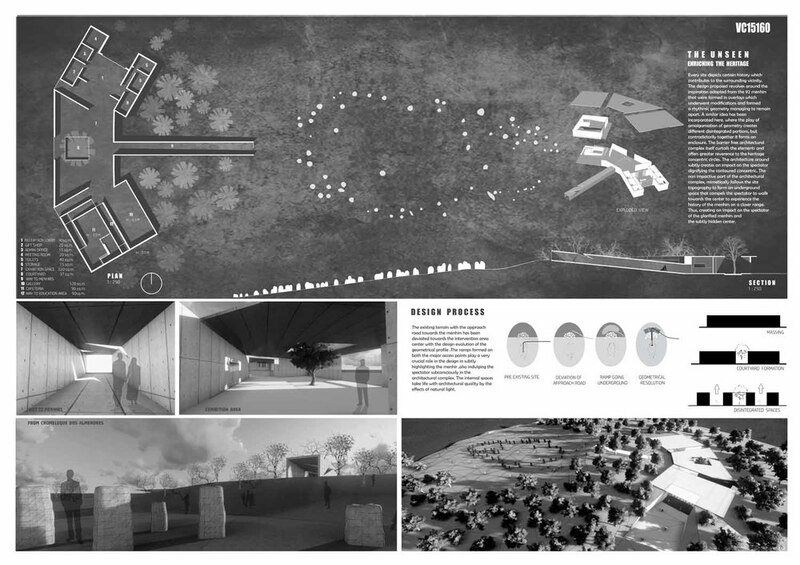 Nevertheless the proposal reveals a delicate position into the site, able to alter the millennial relationship between history and nature. 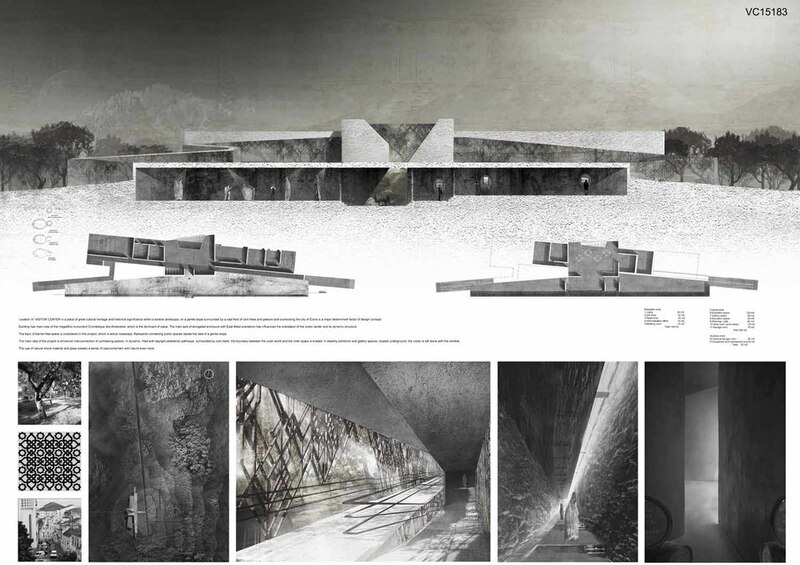 Although trying to disappear has been a constant in many of the proposals, this project, unlike many others that consider hiding underground, relies on the ability of architecture to achieve that goal. Nevertheless, the constructive solution still remains unsolved and is the main challenge for transforming air into a constructive material, perhaps the most precious one. Congratulations! 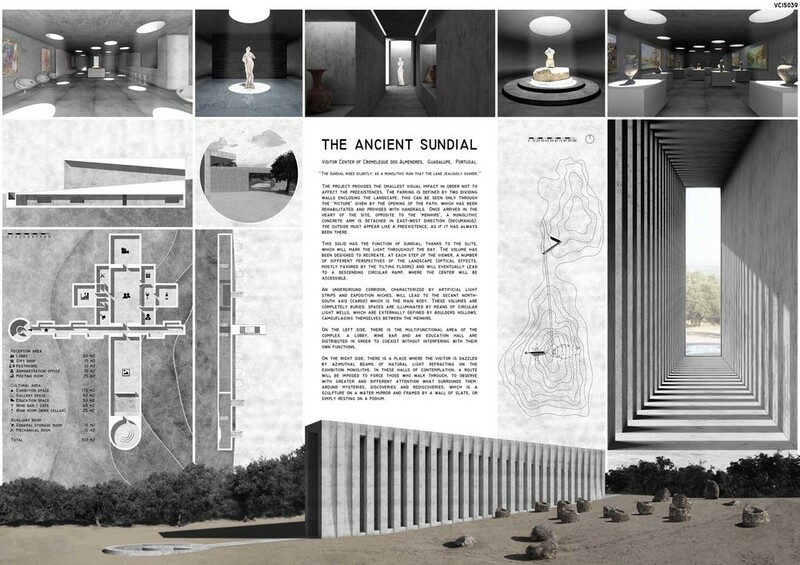 The project starts from the reworked version of a series of refined suggestions related to the Neolithic world. 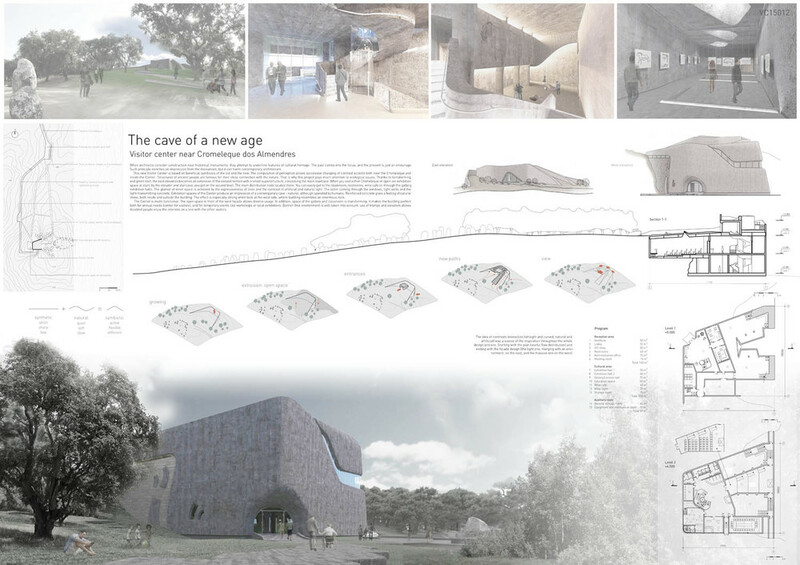 The conformation of the proposal, clear and effective in its planimetric scheme and section, allows an interesting and balanced dialogue between archeology and the intervention, giving to the complex new tension and vigor. 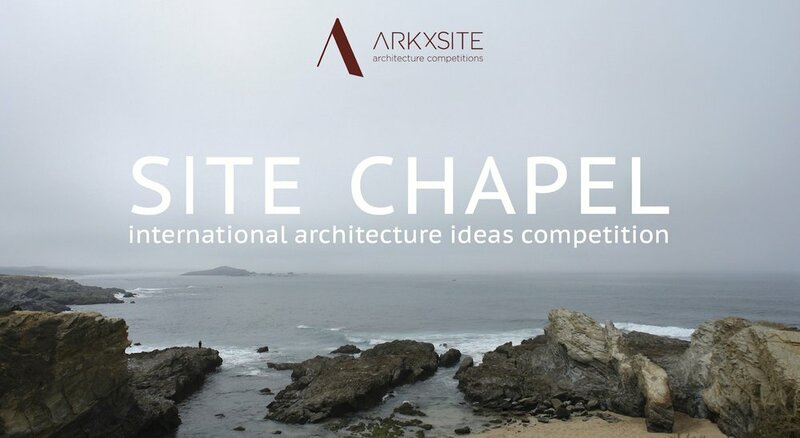 The project offers a cultured and refined vision, through an intense architecture by evocative atmospheres, appearing as a place of great quietness and meditation. 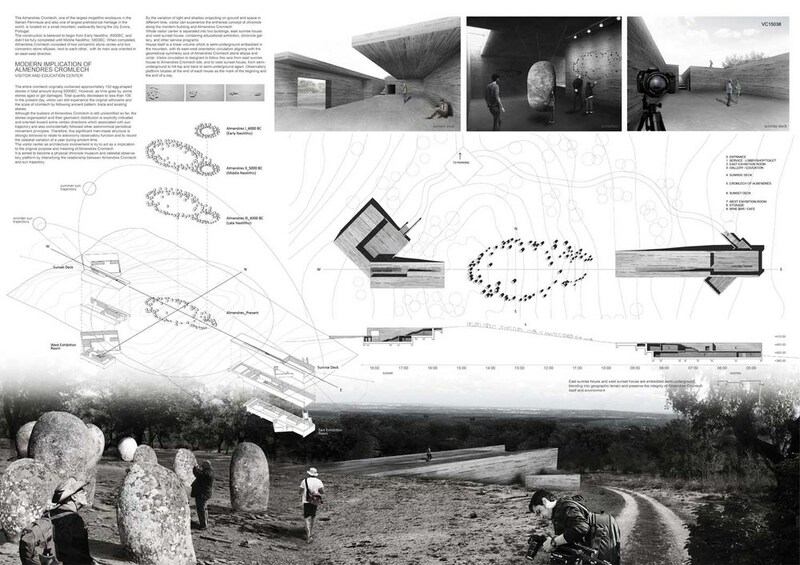 At the same time the proposal, although the appropriateness of materials, opts for an excessively close position to the megalithic monument , creating a critical relationship between the new elements and the historical heritage. 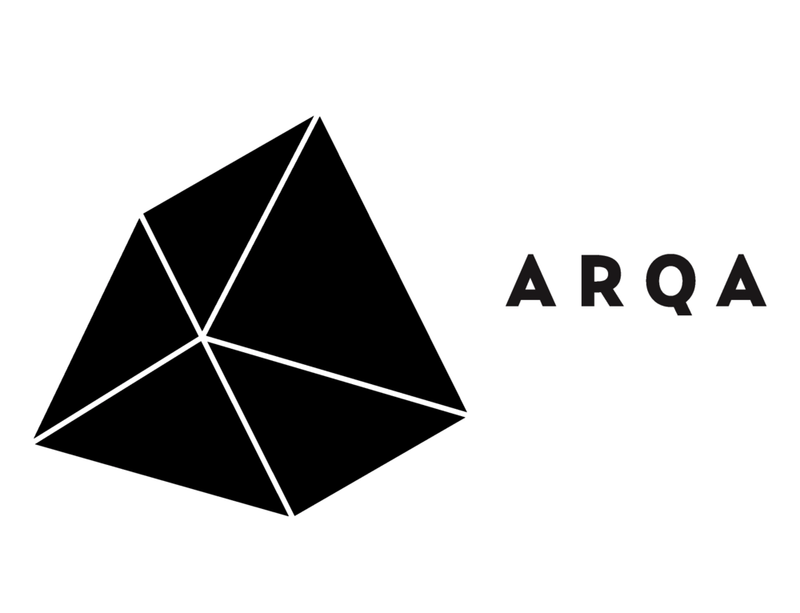 This is an extremely subtle and beautiful proposal, both in its topographical implementation and its geometry traces, which perhaps becomes a little rhetoric with some of the syntactical pillars. Its surrealistic nuances in its definition achieves a unique and magical, tellurian atmosphere.